Pen and brown ink, brown wash, on paper; squared in graphite. 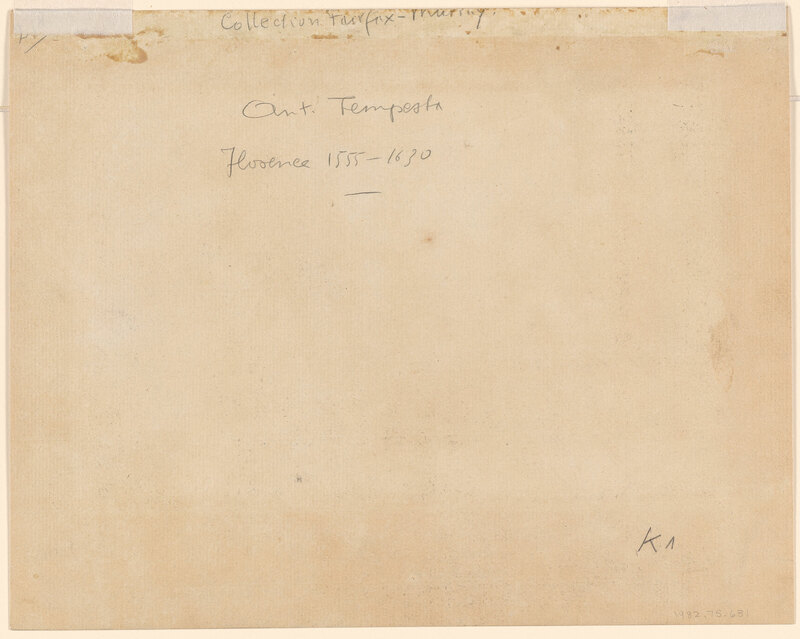 Inscribed at lower margin of old mat, "Tempesta". Acquired in Paris in 1928 by Donald M. Oenslager. 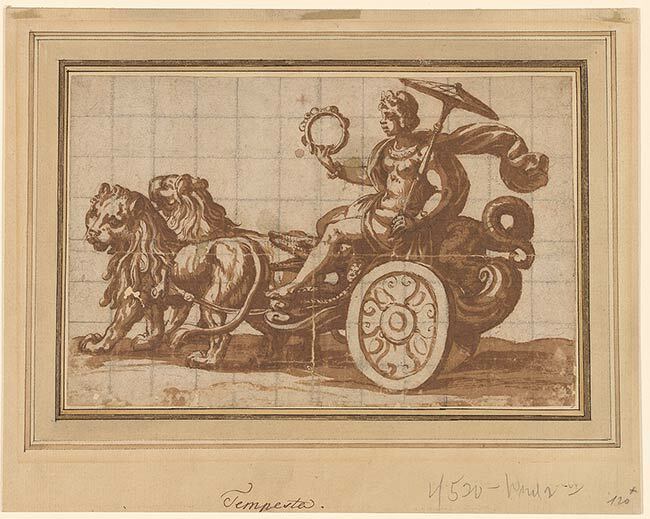 The chariot carries a native sitting on a crocodile, drawn by two lions.